The first major push towards this way of selling online (with the mobdeal branding) in the UK came in January 2010, with the launch of the Wahanda Mobdeals. They specialize in offering discounted beauty and spa treatments and packages, which allow the consumer access to a wider range of options that might have been out their price limit- plus get them on the site, where they can buy extra items. It offers brands the exposure they need to get themselves more clients, and searches and offers are tailored by region. Since Wahanda got on board with this selling model, this idea has reached other industries, and you can now get gadgets, homeware and activity days for less. The Mobdeal is a USA selling method, which the British have been keen to embrace, as many sites have since sprung up which follow this structure. Gruupy is a recently launched gadget MobDeal site. They offer one gadget per day at a reduced rate, and seem to be doing pretty well as they frequently sell out. Recent deals have included a Creative Zen 2GB for 30 Euros and the Palm Pre 2 for Euro 425. I like that when they display the item for sale, they also list the RRP, PLUS a price comparison on Amazon and Google Products. The RRP of the Zen was Euro 60, and the cheapest you could get it on Google products was Euro 44- good to know. Shipping is free as well! 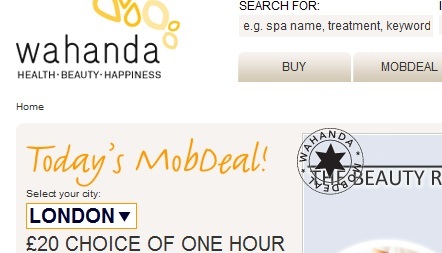 This is a relatively new mobdeal site- which means you can get some great offers! 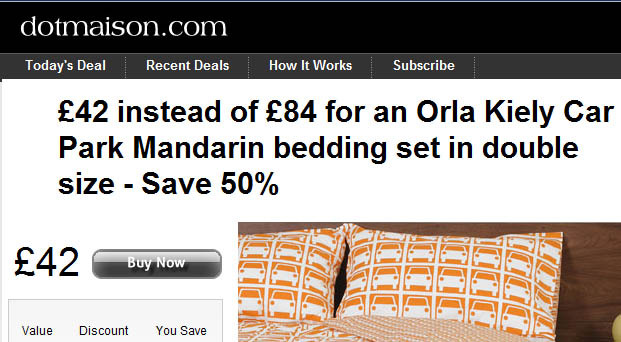 Recent deals include a double duvet set from Orla Kiely reduced to £42 from £84. You do have to pay shipping though. They offer their deals for a period of time, rather than a 24 hour flash sale- which I guess may change, if the site grows. This site pioneered the launch of Mobdeals in the UK and has become a watchword amongst beauty queens. You can get everything from Botox to spa days at cut rate prices- but always with first class services. You can choose from 13 city locations across the UK and the deals are always exciting. The site also offers discounts on treatments not in the mobdeals, and the user reviews area great way to gauge whether you should try something. This site launched in the UK in 2009, after a successful run in the USA. 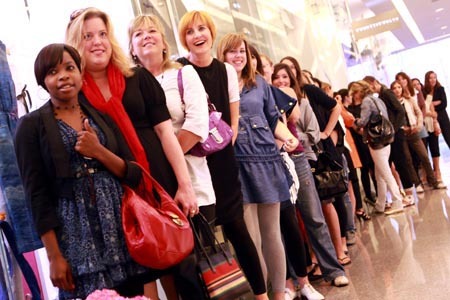 It offers everything from discount zoo entry, to beauty deals. I particularly like it for the offers it gives for local activities, such as interesting nights out and cheap meals out. Groupola is a site that offers great deals on all sorts of activities, from a 3 hour photoshoot session reduced from £150 to £45 and cheap hot air balloon rides. It’s an interesting site as it’s powered by the people who run My Voucher Codes, which suggests that they see the power in mobdeals AS WELL AS offering vouchers. In fact, I’m a big fan of My Voucher Codes, especially as they have a GPS enabled iPhone app, which lets you find local deals based on proximity and then use your phone to redeem the voucher. When all e-tailers start doing this, things will change, but for now My Voucher Codes rules the voucher market. As you may have now realized there are a LOT of sites offering mobdeals, and it can be a little hard to keep track of them all. That is why The Daily Chic is such a great site as it aggregates many of the mobdeal sites, and allows you to keep track of ALL the offers in one easy place. Genius! So, have Mobdeals killed the discount voucher system? Well, yes and no. People no longer rely on vouchers as the only way to get great value deals, and they have discovered how to get collective deals, where they can read reviews about the activities in advance. It seems both systems are still popular, so I’m not sure there is a war on after all, but we can see that their is a change in people’s shopping habits, which will be interesting to monitor over the next few years.